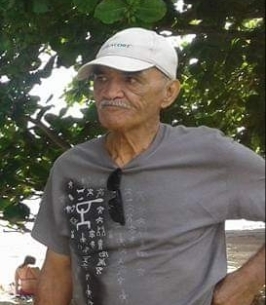 Samuel "Sam" Ponialoha Contrades, 71, passed away on March 6, 2019 in Honolulu, Hawaii. He was born in Honolulu. He is survived by Sons Samuel "Keola" Contrades, Samson "Kaleo" Contrades, David "Boy" Kealoha and Daniel "Kalei" Kealoha, Daughters Lokelani Schmitt and Davlynn Kealoha, Brothers Ernest Contrades, Mala Contrades and Kent Contrades and with numerous grandchildren. Celebration of Life services will be held on Saturday April 13, 2019 at the Door of Faith Church Honolulu, 1161 Young Street . Visitation is at 10:00 am , services at 11:00 am. Casual attire; no flowers. To send flowers to the family of Samuel Ponialoha "Sam" Contrades, please visit our Heartfelt Sympathies Store.